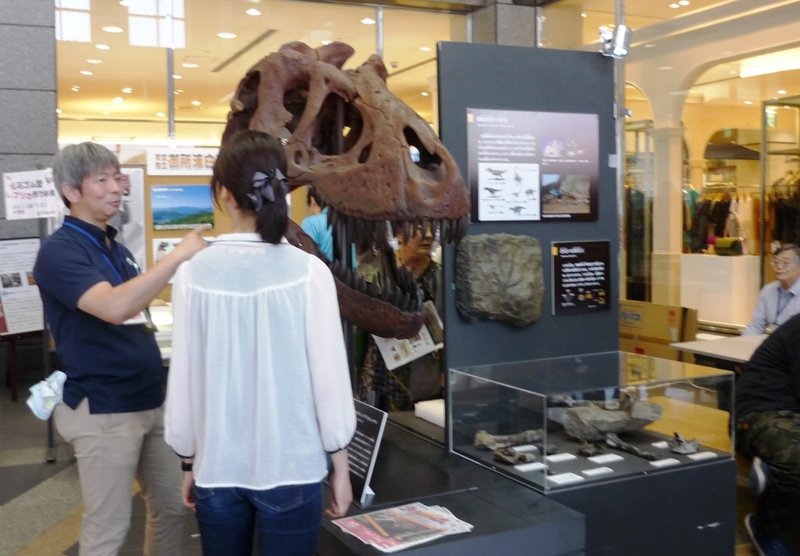 We joined “Geology day” in Kumamoto! On Saturday, June 2nd, 2018, our foundation has set up a demonstration corner at Kumanichi Bipress Plaza as the joining activities of “Geological Day” with the this year’s theme of Closer knowledge of “Earth of Kumamoto”. 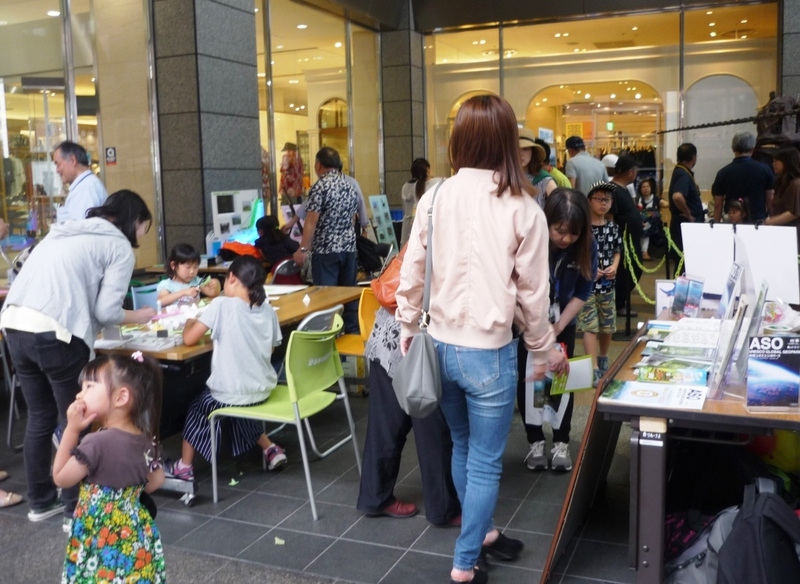 This year, our foundation created a new “groundwater circulation model” and exhibited there. Not only showing the groundwater flow by blue LEDs, but also local groundwater spots like “Suizenji Jyoujyuen”, “Kengun 5th well” and “Lake Ezu” are fixed in the model using flowing water. 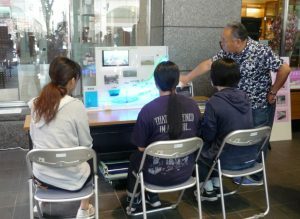 In the upper left part of this model, a DVD screen has also fixed and our demonstration video “Water’s Everyone’s Life” was shown to explain Kumamoto’s groundwater. It was the 10th time of this event organized by the executive committee composed of Kumamoto University and the natural museums in the Kumamoto prefecture, it has held in May 10 of each year in conjunction with the geological day. 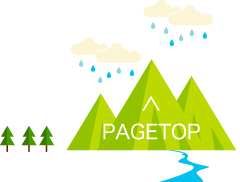 Our foundation also co-hosts. Children love dinosaurs and they came with their parents to see a specimen of the dinosaur bone exhibited by “Mifune dinosaur museum”. 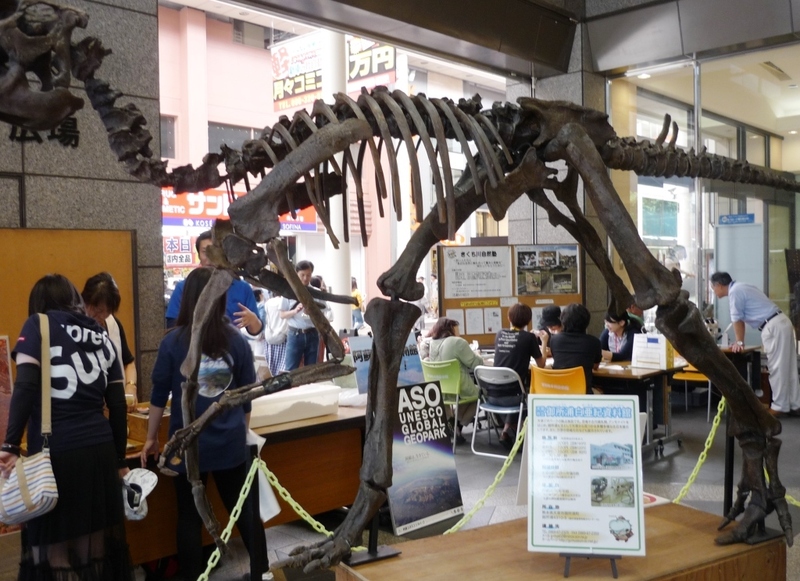 The entrance of Kami-Dori arcade is the best location. 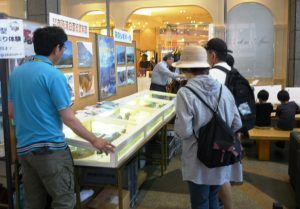 “Goshoura Cretaceous Museum” exhibited about 100 fossils in a showcase. Besides this, a hands-on booth which tried to make a can badge and a replica of ammonite on site for parents and children also gained popularity, and nearly 900 customers (official announcement by the executive committee) has visited.